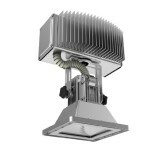 The SPECTRA Series Plasma High Bay delivers extreme intensity and high lumen output for high mounting applications. 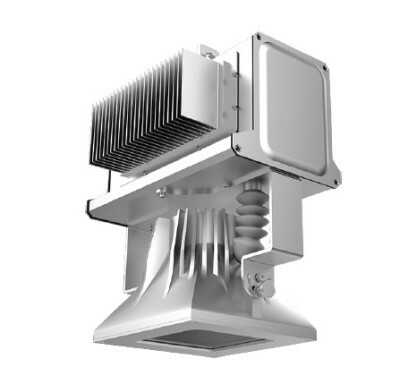 Superior color, long life, dimmability, and high efficiency allows this luminaire to outperform traditional HID high bays. Utilizing proprietary plasma technology, the electrodeless lamp and solid state driver enhance lighting quality. Precision-formed reflectors and micro-sized lamp deliver adequate light to working planes. Warehouse, manufacturing facilities, retail, gymnasiums, grocery, industrial facilities. 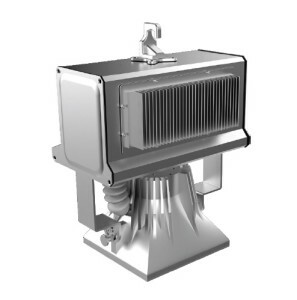 High performance, cutting-edge die-cast magnesium resonator housing improves heat dissipation and reliability. Precision engineered and manufactured optics to optimize light delivery to the working plane. Features advanced heat management for efficient power supply and driver operation. Convenient single point suspension mounting. Comes standard equipped with hook mount and cord.